The Chinese domestic price of aluminum alloy ADC12 was assessed marginally higher at Yuan 16,000-16,300 ($2,544-2,592)/mt ex-works Tuesday, compared with Yuan 16,000-16,200/mt a week ago, amid higher offers heard in the market. Traders said the higher prices were due to a recent increase in aluminum scrap prices, which led to higher production costs. Leading China producer Sigma Metals raised its offer price to Yuan 17,200/mt on November 30, compared with Yuan 17,100/mt previously, while most non-Sigma offers were at Yuan 16,000-16,400/mt ex-works this week, up from Yuan 15,900-16,200/mt a week ago. A North China-based trader said he sold ADC12 in the domestic market at Yuan 16,200-16,300/mt ex-works this week. "Aluminum scrap prices are going up in the US and there have been reduced scrap imports to China as the US consumes more of those raw material at home," he said, adding that the price direction of ADC12 would depend largely on the price of aluminum scrap, which is a major raw material for the aluminum alloy. But a Guangzhou-based trader said most of his deals were done at Yuan 16,000/mt this week. "Chinese prices failed to move up much due to oversupply in the market," he said. A third trader said he heard offers at around Yuan 16,400/mt. "But despite higher offer prices, domestic demand has been stable in China," he noted. Meanwhile, in the export market, the first trader some small quantities of material at $2,170-2,180/mt CFR Japan. "Firmer aluminum scrap prices have raised export offers from China. The price rise, however, has been capped by prolonged weak demand from Japan," he said. Another trader echoed his view, adding that recent spot deals were settled at $2,130/mt CFR Japan, up $20-30/mt from a week ago. "More traders are raising their offer prices but there has been a lack of deals reported," he said. "It's difficult to find overseas buyers for the Chinese material," he added. The Japanese buyers said Chinese offer prices were in a wide range of $2,130-2,180/mt CFR Japan, reflecting Chinese producers' different purchasing cost of scrap aluminum imported from the US. One Japanese trader reported buying less than 500 mt at $2,130/mt CFR Japan, for loading in January. Platts assessed ADC12 at $2,110-2,150/mt FOB China Tuesday, compared with $2,110-2,140/mt a week ago. Any buys for state reserves will take up some of the slack in China's supply chain, analysts said, rather than igniting demand. China's plan to buy base metals for state reserves in an effort to cushion domestic smelters from slowing economic growth would support prices but would not significantly reduce bulging stockpiles, traders and analysts said on Wednesday. China is the world's biggest consumer of base metals, but demand has faded this year as exports have weakened, pushing stocks of copper and aluminium to near-record highs and driving some smelters into loss-making territory. Any buys for state reserves would take up some of the slack in China's supply chain, analysts said, rather than igniting demand, with purchases planned on a much smaller scale than in the wake of the 2008/09 financial crisis. "It's a plea for some help. Obviously the smelters have requested some official assistance and we know stocks have gone up. Ostensibly it is to help the cash flow of the smelters," said analyst Robin Bhar of Societe Generale. "On copper, it is difficult to see the move lifting prices on a sustained basis, but it probably means the downside is restricted. On aluminium, which is a much bigger market, it is neither here nor there." Sources told Reuters this week that China's influential state planner could revive a stockpiling plan as soon as this month to buy around 400,000 tonnes of primary aluminium ingots and 165,000 tonnes of refined copper cathode for state reserves. This volume equates to around 8 days of consumption for refined copper and nearly 7 days for primary aluminium, and compares to China's current stocks of more than one million tonnes of both copper cathode and aluminium ingots. The stocks include metal held by Shanghai Futures Exchange warehouses, bonded warehouses, producers and end-users. "Inventories hanging over the market are mainly bonded warehouses, estimated around 750,000 tonnes, compared with about 300,000 back in end-2011," Macquarie analyst Bonnie Liu said in a note this week, adding that fourth-quarter copper orders had been almost flat with the third quarter. About 800,000 to 900,000 tonnes of refined copper cathode was stocked in bonded warehouses in Shanghai and the southern province of Guangdong, traders estimated last week. The state purchase looks tiny against the market's annual consumption of more than 21 million tonnes of primary aluminium, analysts said. "I don't think the purchase of aluminium would have a big impact," said a source at a large aluminium producer who did not want to be identified in the absence of authority to speak to the media. "Domestic prices may rise one or two days only. The market now is over-supplied and demand is far behind supply growth." Markets are hoping Beijing's new top rulers will announce stimulus measures following the once-in-a-decade leadership change set to be ushered in by a Communist Party congress beginning on Thursday. Although China racked up annual GDP growth of 7.4 percent in the third quarter of 2012, this was its slowest pace since the depths of the financial crisis in the first quarter of 2009. The extra demand from the state purchases might lead investors and end-users to conclude prices had bottomed and the time for restocking was near, some analysts in China warned. "A purchase by the State Reserves Bureau would have psychological impact," said Jing Chuan, chief researcher at Citic Futures, referring to high domestic prices of copper and aluminium, which resulted in record imports in 2009. "We saw that in 2008/09, when the SRB buying pushed up prices strongly, although it did not change the real supply and demand situations." A sales manager at a Chinese copper smelter said the purchases could signal the domestic market that prices had bottomed, encouraging speculators and end-users to build stocks. Unlike the launch of the inaugural stockpiling in 2008, the SRB has not officially announced current purchase plans. In December 2008 it said it planned to buy 1 million tonnes of aluminium, 400,000 tonnes of copper and a total of 400,000 of lead and zinc from domestic smelters over three years. But it had only bought 235,000 tonnes of copper, 590,000 tonnes of primary aluminium and 159,000 tonnes of refined zinc by the end of that round. China is expected to soon resume stockpiling of some base metals, including copper and aluminium, buying them from domestic smelters hurt by weak demand, industry sources said on Tuesday. China is the world's top consumer of industrial metals, but its smelters, hit by slowing economic growth, have lobbied the government to revive a state-run scheme to stockpile industrial metals, in hopes the move will prop up prices. "The NDRC is going to do it soon," said a source with links to China's influential state planner, the National Development and Reform Commission (NDRC), who has direct knowledge of the plan. The state-run stockpiling scheme was launched soon after the 2008/09 financial crisis, at the prodding of the country's smelters, and led to an increase in metal imports in 2009. When the scheme resumes, the State Reserves Bureau could buy around 400,000 tonnes of primary aluminium ingots and 165,000 tonnes of refined copper cathode, industry sources said. Expectations are growing for Beijing's new top rulers to announce stimulus measures following a once-in-a-decade leadership change set to be ushered in by a Communist Party congress beginning on Thursday. Although China racked up annual GDP growth of 7.4 percent in the third quarter of 2012, this was its slowest pace since the depths of the global financial crisis in the first quarter of 2009. The stockpiling measure could put a floor under metals prices and benefit copper more than aluminium, analysts said. "It's just picking up slack in the domestic system. Obviously, the data suggests the economy has stabilised but it's hardly firing on all cylinders," said Leon Westgate, an analyst at Standard Bank based in London. Bonded stocks have been rising, and the latest data suggest domestic demand may have stabilised at low levels rather than bouncing back strongly, he added. "(The NDRC) are not going to pay top dollar but they may help provide a floor for prices." "It's more likely to support the copper price than the aluminium price, because comparing the size of the industries, for aluminium it's a drop in the ocean but for the copper market it's a touch tighter." Benchmark three-month London Metal Exchange copper prices have fallen more than 10 percent from the year's high in February to stand at $7,675.5 a tonne on Tuesday. Aluminium prices on the LME have lost more than 30 percent from the year's high struck in May to stand at $1,912. The move to resume stockpiling followed a proposal by the China Nonferrous Metals Industry Association for the state planner to complete the scheme, or even buy more supplies, so as to alleviate conditions for domestic smelters, which were harsher than in the 2008/09 crisis, the first source said. During the last phase of buying, which expired last year, the State Reserves Bureau bought fewer metals than originally planned, which analysts said left it with scope to launch another round. At the launch of the inaugural stockpiling in December 2008, the Bureau said it planned to buy 1 million tonnes of aluminium, 400,000 tonnes of copper and a total of 400,000 of lead and zinc from domestic smelters over three years. However, it only bought 235,000 tonnes of copper, 590,000 tonnes of primary aluminium and 159,000 tonnes of refined zinc by the end of the round. "The beauty of resuming this scheme is that the buying does not need approval from the central government because it was already approved few years ago," said an industry source with links to the state planning body. "I think the buying would happen in November. It should not be later than Dec. 15 because after that time smelters won't be able to put the sales into this year's earnings." A sales manager at a large aluminium smelter said he expected the State Reserves Bureau to buy around 400,000 tonnes of aluminium from local smelters very soon. The bank says, that the three metals, along with Brent Crude, are likely to benefit most from the latest round of quantitative easing. 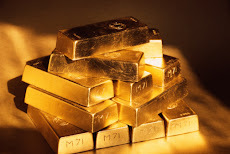 According to a note out from Standard Bank on Friday, gold, silver and aluminium are the three metals likely to benefit most from the Fed's announcement last week of QE3. "Given that QE is initially purely a monetary phenomenon," the bank writes, "with a possible real economic effect only later, we note that price reaction may differ from what one would expect, looking purely at commodity specific fundamentals." Having said that, however, the bank says, following an extensive analysis of the periods following the announcement of QE1 and QE2 respectively, "Our analysis shows that gold, silver, Brent and aluminium are likely to move higher with the most certainty or highest confidence." Before Ben Bernanke's announcement on behalf of the FOMC, Standard Bank wrote, "Should the Fed expand its balance sheet by a further $1.3tr, it would lift our fair value estimate for gold to around $1,900." Adding once the announcement was made, "even from current levels of gold at $1,770, we still see substantial upside for the metal." Another important thing to note, Standard Bank says is that physical demand for the metal remained robust even when prices shot above $1,700. "Even at prices above $1,700, looking at our Gold Physical Flow Index (GFPI) it appeared as though physical demand had remained relatively robust, albeit at levels below that seen in 2011. The physical market continues to be well supported by the Far East, although Indian buying has also returned and remained fairly steady, even after the push above $1,700." The bank explains that part of the reason for this is that, often, after an intial slowdown, the physical market adjusts to the higher prices and resumes buying and, more importantly at this stage, "the adjustment has been further facilitated by the need for physical gold as we enter the Indian wedding season." Thus, the bank says, "We do expect physical demand to weaken, in light of Thursday's rapid move. However, the aforementioned factors are still relevant and after a period of adjustment, we still feel that the physical gold market should remain a point of mild support rather than resistance (or, at worst, neutral). We maintain our belief that gold will trade towards $1,900 in Q4:12." Russia's Rusal, the world's largest producer of primary aluminium, said it expects aluminium premiums paid over the London Metal Exchange price to keep rising over the next year and a half. "There are different scenarios of market development, including a decline, but we do not expect this during the next 18 months. Premiums will continue to rise," Rusal first deputy COO Vladislav Soloviev told the Metal Bulletin aluminium conference in Moscow. Rusal also said it expected a shift in aluminium supply contracts away from fixed cash premiums to a floating premium that would allow producers to lock in their margins. "We expect to see a tendency to have floating premiums related to the underlying commodity contract, where producers are able to fix the margin over casthouse costs," Steve Hodgson, Rusal's director of international sales, said in a presentation at the conference. Hodgson said cash premiums over prices on the London Metals Exchange (LME) had risen to 10% to 12% of underlying prices. In the past, Rusal had offered fixed premiums when the premium-to-price ratio was much lower. This means Rusal could offer both fixed and floating premiums for its 2013 supply contracts discussions that start this week in Moscow and continue in LME week next month. Most metals consumers negotiate term premium contracts with producers to secure supplies and then top up on the spot market which is subject to the volatilities of supply and demand. Spot market premiums -- money paid over the benchmark (LME) cash price to secure physical metal -- have soared to record highs as vast amounts of aluminium are locked away in financing deals in places like the Dutch port of Vlissingen, the Malaysian port Johor and Detroit in the US, resulting in queues of up to a year to collect metal. Aluminium premiums in Europe have been on a steady uptrend since the beginning of the year. Duty-paid physical aluminium in Rotterdam was quoted at a fresh record high of $270 to 290, rising from $260 to 280 at the end of August. Duty unpaid was quoted at $210 to $230, against $210 to $220 previously. Three-month aluminium prices touched a three-year low at $1 827.25 a ton in mid-August, after falling more than 10% in the second quarter. As Standard & Poor's lowered its nickel and aluminum price assumptions to $7.50/lb and 90-cents per pound, respectively, price forecasts for other metals remain unchanged for this year. Standard & Poor's Ratings Services has lowered its price assumptions for nickel and aluminum for the rest of this year, noting that "most metals prices are unlikely to fall much further under our base-case scenario for 2012." "Our revised assumptions take into account the notable decline in spot prices for nickel and aluminum since our last update in January 2012, continued oversupply in the two markets, and the currently uncertain global economic outlook," wrote S&P Credit Analysts Andrey Nikolaev and Marie Shmaruk in an advisory note published Thursday. Since S&P's January update, aluminum and nickel have fallen 11% and 16%--the steepest drops among the base metals. "The key reason for this underperformance, in our view, is the oversupply of the two metals," said the analysts. "As for other metals, nickel and aluminum prices are also under pressure from the strengthening U.S. dollar and market concerns about Chinese demand growth." "We have left our 2012 price assumptions for the other metals and our 2013 and long-term price assumptions on all metals unchanged because we continue to factor in our assumption of a soft landing in China, where we forecast GDP growth of about 8% annually in 2012-2012," S&P advised. "We also assume virtually flat GDP in Europe and about 2% growth in the U.S. for 2012." S&P also suggests that for most metals, "cost profiles of major producers will likely not allow further substantial price deterioration without a noticeable decrease in production, which we do not anticipate in our base case." Meanwhile, S&P advised it is leaving its long-term price assumptions for industrial metals unchanged "as we currently do not anticipate substantial changes in the long-term supply-demand balance." S&P's metals price assumptions for the rest of this year include 90-cent per pound aluminum; $3.25/lb for copper; $7.50/lb nickel; 80-cents per pound zinc; and $1,300/oz gold. S&P anticipates moderate growth in aluminum demand this year. Therefore, the agency lowered its price assumption from 95-cents per pound to 90-cents per pound for this year. Moderate growth in copper demand and nickel demand is anticipated in S&P's base-case scenario. S&P lowered its price assumption for the rest of this year from $8 per pound nickel to $7.50/lb. S&P also forecasts moderate growth in zinc demand. "The current substantial inventories create a considerable risk for the prices, however. At the same time potential closures of several major mines in 2013-2014 could substantially improve the supply/demand balance and support prices," said the analysts. Contrary to industrial metals, gold remains elevated as investors still seek a safe haven, as well as a hedge against inflation risks, S&P advised. The global mining industry drives more than 45% of the world’s gross domestic product (GDP), either on a direct basis or through the use of products that facilitate other industries, says AngloGold Ashanti CEO Mark Cutifani. Cutifani, who addressed this week’s Mining for Change conference, calculates that mining product revenue contributes 11.5% to global GDP; mining service industries a further 21% to 23% and fertilisers for agriculture, fuel for transport and materials for construction then take mining’s combined direct and indirect contribution beyond 45%. The world would need to dedicate twice the amount of land to agricultural activities, which currently already occupy 40% of the earth’s surface, were it not for mining’s contribution to agricultural productivity. Yet considerably less than 1% of the earth’s surface is dedicated to mining, which consumes less than 1% of the world’s water – and mined products also help to purify much of that water. Furthermore, mining emits less than 3% of the world’s carbon gases. “Mining’s the most important industrial activity in the world today and has one of the smallest environmental impact across the globe, which many people don’t appreciate. “Instead of calling us the extractive industry I would like us to become known as the development industry,” Cutifani says, pointing out that 40% of the capital that AngloGold Ashanti is putting in place right now to develop its new Mongbwalu gold mine in the Democratic Republic of Congo is dedicated to infrastructure. In addition to creating employment opportunities for the near-mine Mongbwalu community, the company is putting in place transportation, commercial and energy infrastructure that will enable local farmers to produce more and also to start transporting it to market. “If we can get it right and benefit 80% of the people in that community instead of only maybe 3% who are given jobs, then the conversation around the mining industry will change and when people hear the word mining, they will think about development, jobs and social infrastructure. That’s the vision we have for our mining industry,” he adds. By coordinating the involvements of developmental finance institutions, governments and mines, a strategy can be adopted for Africa that will be no different to the way pioneering industries helped to open up North America, South America, Europe and Russia. 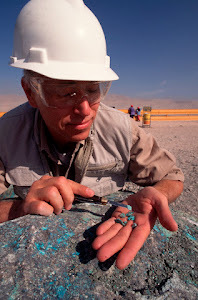 Further, as the now-returned Chamber of Mines of South Africa senior executive Roger Baxter has often pointed out, the modern world would not have smart phones, wind turbines, toothpaste without mined minerals. While minerals like oil, gas, coal and uranium energise the modern world, voguish gadgets are unable to function without copper, silver, gold, palladium, platinum, ceramics, titanium dioxide and lesser-known tongue-twisters like indium tin oxide. The average car contains a ton of iron and steel, 100 kg of aluminium and 19 kg of copper and the more environment friendly hybrid vehicle requires double the copper, roughly 34 kg. A 2 MW wind turbine contains some 300 t of steel, 5 t of copper, 3 t of aluminium and requires the casting of about 1 200 t of concrete, the cement for which requires limestone that is mined and stone that is quarried. Replacing a single 3 000 MW coal-fired power station – which is half the size of South Africa’s many six-pack stations –15 000 MW of wind turbine capacity needs to be provided, which would require the equivalent a 2 MW wind turbine being sited every 240 m between Durban and Cape Town. The modern compact energy-efficient fluorescent light bulb needs bauxite, lead, copper, limestone, nickel and phosphorous; toothpaste contains silica, limestone, aluminium, phosphate, fluoride and titanium; and women’s make-up mica and talc. The minerals in greatest demand globally are coal, copper and iron-ore. Even as Vedanta and Nalco bagged higher premiums for the lightweight metal, signalling a tightening market and limited metal availability, Novelis' new $100 million plant in China is set to boost demand. London-listed mining group Vedanta Resources said it has sold 3,000 tonnes of aluminium ingots at a premium of $220 a tonne over the London Metal Exchange (LME) price in the Asian market. India's state-run National Aluminium Company (Nalco) has also sold 8,000 tonnes of aluminium ingots at a premium of $202.80 per tonne premium over the LME price. Earlier this month, the company had sold 4,500 tonne of aluminium ingots at about $180 per tonne premium over the average LME cash price. Buyers tend to pay a premium in addition to the LME cash price to cover freight and insurance and to reflect regional supply and demand. Last Thursday (June 21), aluminum prices on the LME hit a two-year low. But for Indian firms, the time has been ripe to ink new deals. Novelis Inc, the world's leading producer of premium aluminum rolled products, signed an agreement with the Changzhou National Hi-Tech District to build the company's first automotive sheet manufacturing facility in China. With a capacity of 120,000 metric tonnes per year, the plant will cater to the rapidly expanding Chinese automobile industry. Novelis expects demand for aluminium in the global automotive sector to grow at a compound annual rate of 25% over the next five years. In 2007, Novelis was acquired by Hindalco Industries and became part of the Aditya Birla Group in India. The latter already has announced investments of $1.3 billion (Rs 70 billion) to set up new facilities and expand the capacity of existing units. The Novelis deal in China is especially significant since the top five alumina producers in China, including Aluminium Corp of China, said they would cut production by 10% from June due to the changes in the supply of bauxite imports. Chalco has an alumina capacity of 14 million tonnes a year, making it the country's top producer of the material used for the production of primary aluminium. Chalco is to cut alumina capacity by 1.7 million tonnes because the change in Indonesia's bauxite policy has affected the supply of imported bauxite for the company, Shandong Nanshan Group, Nanchuan Minerals Group, Xinfa Group and Gaoxin Aluminum and Power Companu, which has been the sole alumina supplier since January 2010 to aluminium producer China Hongqiao Group, have all decided to cut output. Analysts say that aluminium smelters in China's Xinjiang province, which is aiming to become a key production hub of the metal, have been hobbled by costly power rates and are set to add only about a third to half of the capacity expansion originally planned for 2012. In India, Vedanta Resources has said the increase in premiums over the LME was an outcome of global ``tightness in the physical market due to closure of smelters in recent quarters in the wake of low LME prices''. South Korea too has purchased a total of 4,000 tonnes of aluminium at premiums ranging from $207.2 to $242 a tonne. Analysts added that LME prices have remained subdued because of the current economic situation in Europe, but record high premiums are helping Indian companies. The say that an acute shortage of supply has prompted buyers to speed up settlements, since producers were cutting back output. As demand remains strong, supply of accessible metals has been reduced considerably. Buyers are targeting ingots due to worries about short supply. However, growth in May shipments of aluminium have reportedly accelerated in both the US and Canada, an improvement from the smaller growth levels shown in April. Inventory positions improved slightly in both countries. According to the US Service Center activity, 136,100 tonnes of aluminum products were shipped by US Service Centers in May, an increase of 6.8% from the same month in 2011. For 2012 year to date, aluminum shipments were 664,200 tonnes, an increase of 5.6% from the same period in 2011. Inventories of aluminum products were 385,700 tonnes at the end of May 2012 an increase of 6.3% over May 2011 and an increase of 2.3% from April 2012. Similarly, according to the Canadian Service Center activity, 14,600 tonnes of aluminum products were shipped by Canadian Service Centers in May, an increase of 17.2% from the same month in 2011. Year to date, aluminum shipments were 69,800 tonnes an increase of 14.2% from the same period in 2011. Vedanta Group, India's largest aluminium producer, said premiums in the US and Japan have already reached their record-high levels and the scenario is expected to continue unless there is an increase in interest rates or reduction in LME spreads. Aluminium prices are hovering around $ 1,878.50 to 1,920.50 a tonne on the LME. NEW YORK – The global aluminium market will be more balanced this year and could shift into a supply deficit by 2013 as new projects fail to keep the pace with high-cost capacity cuts this year, Rio Tinto Alcan's CE said Tuesday. "Supply will become more challenging ... the market will be near a balance this year," Jacynthe Cote said at American Metal Market's Aluminium Summit in New York. "If you look at the supply side, year-over-year, there's been virtually zero growth given what has been added versus what has been taken out." Many higher-cost smelters in the 40-million-ton-a-year market have struggled to remain profitable after prices plunged almost a third in the past 12 months, to below $2 000/t. On Tuesday, aluminium hit December lows, roiled by concerns over sluggish demand and high inventories. Three-month prices on the London Metal Exchange (LME) were at $1 960/t on Tuesday, close to or below many plants' breakeven level. With power accounting for a third of production costs, smelters with long-term steady energy contracts or cheap hydroelectric power can survive the current turmoil. But many have divested or shut expensive production. Rio Tinto plans to sell 13 assets across six countries, including smelters and alumina refineries worth an estimated $8-billion. US producer Alcoa has said it is taking a hard look at the cost profile of its Point Henry smelter, having already announced the shutdown of about 500 000 t of yearly capacity at the start of the year. Norsk Hydro shut its 180 000 t/y Kurri Kurri smelter, in Australia. "So we are getting closer to a near balanced market. If that trend continues, we could be in a slight deficit next year and the following year because all of the projects are being delayed now," Cote said. Even so, while producers make cut-backs, many are replacing it with capacity in low-cost regions such as the Middle East. Alcoa is building its Ma'aden smelter in Saudi Arabia which will open next year and produce 740 000 t/y of aluminium. Many traders say they are also concerned that Chinese output remains high even with the falling prices. And while Cote sees a long-term supply challenge, demand outlook, primarily from China, is a bright prospect. "I can't prevent myself from being pretty positive about China," Cote said. China's move last week to cut interest rates for the first time since the depths of the global financial crisis was another sign that the world's leading metals consumer "will continue to track their growth in a very responsible way", Cote said. "China is still going to grow at near 8% this year," she said. "The aluminum demand will probably be near 9% this year ... it's growing in the single digits, but it's growing from a much larger base than 10 years ago." Over the next five to teb years, 70% of aluminum supply will come from China and close to 25% will come from the Middle East, she said. Talk of a supply deficit may also surprise those who see record stockpiles of almost five-million tons in LME-bonded warehouses, with another four-million to five-million tons estimated to be in off-exchange storage, as a sign of massive oversupply. But much of that material, which started building in 2007 as the global economy deteriorated and demand fell, is not immediately available as it is held in financing deals, traders say. In those deals, the owner of the metal agree to keep the material in storage for months and often years at a time in return for cheap rent. They make a profit because their metal is gaining in value due to the contango on the LME, with forward prices at a premium to cash. China's top aluminium-producing province has idled about 700 000 t of capacity in recent months, a senior industry official said, further evidence that slower growth in the world's No. 2 economy is denting the country's appetite for commodities. The total reduction could rise to 1.2-million tons by the end of the year, Henan Nonferrous Metals Industry Association deputy chairman Liu Libin said, more than a quarter of the province's total capacity. Slowing growth, along with a recent slump in prices, has sparked a string of deferrals and defaults on coal and iron ore deliveries to China and seen stocks of the minerals pile up in the country's ports. Aluminium prices have joined a general slump for commodities, with London Metal Exchange metal down 15% from the year high hit in early March. "Smelters that are still producing in Henan are big ones," Liu told Reuters. "They are still able to maintain normal cash flows and are hoping the market will improve soon," he said, adding that local governments will support smelters as they want to maintain tax contributions and employment. China is the world's largest producer of aluminium - used in the building, transport and packaging sectors - with a production capacity of more than 23-million tons a year. Most of its smelting capacity sits at the high end of the global production cost curve, but many smelters have so far resisted closure, even though global producers Rio Tinto , Norsk Hydro and UC RUSAL have shaved output since the start of the year. Norsk Hydro became the latest to announce a closure, saying on Wednesday it would shut its 180 000 t a year Australian smelter. Henan's move to shut plants illustrates how a combination of challenges, including sputtering demand at home and abroad, a production surplus and sliding prices are forcing smelters to bow to cost pressures. State-backed research firm Antaike has estimated that less than one million tonnes of aluminium capacity in the country is currently shut, with capacity set to exceed real consumption by more than two-million tons by the end of the year. The supply glut has seen Shanghai exchange stocks of the metal reach a near one-year high of 369 247 t in April, before falling to 335 301 t last week. Henan, located in eastern central China, has 4.6 million tonnes of annual aluminium production capacity. Smelters there are among the most costly to run in China due to high electricity tariffs in the land-locked province. Liu said some 700 000 to 800 000 t of capacity in Henan was most vulnerable to production cuts as these smelters do not have their own power plants. The price of front-month aluminium on the Shanghai Futures Exchange, which typically reflects spot prices in China, has fallen from a peak of over 24 000 yuan ($3,800) a tonne in 2008 to 15 950 yuan on Wednesday. Smelters in other provinces may also join the production cull if domestic prices fall to 15 000 yuan a ton for a prolonged period, Liu said. For now, production cuts in Henan are being compensated by new smelters coming onstream, including some 600 000 t of new capacity in the remote northwestern Xinjiang region. However, sustained low prices could help balance China's supply, as more smelters idle capacity or delay the start of new production lines. "The production cuts should peak at the end of the year. Imports may rise after that," said a source at large Henan smelter, which was also thinking of idling some capacity. World primary aluminium output averaged 68,100 mt/day in April, down from a revised 68,300 mt/day in March and 70,400 mt/day in April 2011, according to figures released Monday by the International Aluminium Institute. Total production in April (30 days) was 2.043 million mt, down from 2.118 million mt in March (31 days) and down from 2.111 million mt in April 2011. For the first four months of 2012, aluminium production averaged 68,600 mt/day, down from 69,700 mt/day in January-April 2011. Production for the four-month period totaled 8.300 million mt, down from 8.364 million mt a year earlier. China's primary aluminium production averaged 51,000 mt/day in April, up from 50,500 mt/day in March and up from 48,400 mt/day in April 2011, the IAI said, quoting data previously published by the China Nonferrous Metals Industry Association. April production totaled 1.531 million mt, down from 1.564 million mt in March but up from 1.451 million mt in April 2011. For the first four months of 2012, Chinese output averaged 50,900 mt/day to total 6.160 million mt, up from 5.454 million mt at 45,500 mt/day in January-April 2011. Negotiations for premiums for primary aluminum ingot to be exported to Japan in the third quarter have started, with Rio Tinto Alcan offering a premium of $200/mt plus London Metal Exchange cash CIF Japan, sources said. A representative from a second global producer, who will be meeting with Japanese buyers this week, has not yet made Q3 premium offers, two Japanese buyer sources said. Six other overseas suppliers are expected to make their Q3 premium offers in the coming weeks, Japanese buyers added. The negotiations are for 30,000-50,000 mt/month of primary aluminum ingot of minimum 99.7% aluminum and maximum 0.2% iron, 0.1% silicon content. Some Japanese buyers started negotiations earlier in May to secure Q3 volumes amid mounting concern over tightening supply, Platts reported earlier. There was talk in the market of two deals settling at $190-200/mt plus LME cash CIF Japan for 500 mt/month shipments over June-September, but this could not be immediately confirmed. Two sources said they had heard of a spot deal done at $190/mt plus LME cash CIF earlier this month. Three other sources said another deal was heard done last week at $200/mt plus LME cash CIF Japan, with one adding that it was believed to be for two or more shipments over several months from June. Platts was not immediately able to reach the companies named as directly involved in the deals. One buyer source said the deals reached earlier in May were the result of some Japanese buyers wanting more shipments to arrive over May-June before possible power shortages emerge over July-September in the Osaka region. Kansai Electric Power Company, the power utility in Osaka, has not yet been able to restart its nuclear power plant. But rolling mills and other aluminum end-users outside Osaka are not advancing their production schedules to avoid power shortages, sources added. "The moves to produce ahead, to avoid power shortages, is limited to mills producing foils [in Osaka] that consume more power [than production of other rolled products]," one rolling mill source said. "Most mills are keeping their output level unchanged," the source added. "For some mills, I hear aluminum products orders have been slower than their initial expectations since April." Rio Tinto has agreed to sell its Atlanta, Georgia-based wire and cable business Alcan Cable to NYSE-listed General Cable for $185-million, the companies said on Monday. The diversified mining giant has been selling off non-core operations from the aluminium business it bought in 2007 for some $44-billion, announcing in October it was putting up 13 assets up for sale. Alcan Cable has around 1 000 employees with factories and distribution facilities in the US, Canada, Mexico and China. The Rio Tinto unit had low-single digit operating margins last year, General Cable said, adding that the business would contribute some $650-million to $700-million in yearly sales, using current metal prices. Alcan Cables operating margin would meet that of its acquirer’s over a cycle, thanks to operating synergies, General Cable noted. “With these synergies, an improving North American market and an accelerating greenfield operation in China, the transaction is expected to create shareholder value in the near term,” General Cable said. Alcan Cable mainly sells its products to the utility and building sectors. The deal is likely to close in the second-half of 2012, and the purchase price is subject toadjustments base on the target's working capital levels at that point. RUSAL Plc, the world's largest aluminium company, is expected to pick a new chairman on Friday to steady a ship still rocking from the parting shot fired by Viktor Vekselberg, who said it was in "deep crisis". Vekselberg quit as chairman on Tuesday, blaming management for overburdening the Russian company with debt. RUSAL, whose chief executive and main owner is rival Russian oligarch Oleg Deripaska, said Vekselberg had jumped before he was pushed for not attending board meetings. Deripaska, who owns 47.4% of RUSAL but enjoys effective control, should be able to secure the election of his preferred candidate from a slate of independent directors. That is, however, unlikely to shore up the confidence of investors after this week's broadside by Vekselberg, who together with partner Len Blavatnkik owns 15.8%. Vekselberg plans unspecified legal action, his spokesman said. The company's market capitalisation has nearly halved since it floated in Hong Kong in early 2010, and its equity value barely exceeds its $11-billion debt burden. RUSAL might delay any formal announcement until Monday, when the company publishes its 2011 results. Whoever wins the job will face a struggle to help RUSAL recover after aluminium prices slumped last year amid signs that growth in the Chinese export market is slowing. Deripaska's debt-financed purchase, through RUSAL, of a quarter stake in Arctic nickel and palladium miner Norilsk Nickel for an estimated $14 billion four years ago quickly turned sour when the global crisis hit. RUSAL was forced into a debt restructuring that killed Deripaska's dream of merging the two, but he blocked calls by Vekselberg to sell the stake back to Norilsk for as much as $13 billion. The Norilsk stake is now worth $9.4-billion, or four-fifths of RUSAL's equity market value of $11.5-billion, with its core aluminium business accounting for the rest. The next chairman could be one of five independent directors, who include Anatoly Tikhonov, first deputy chairman at Russian state development bank VEB, WPP chairman and former US ambassador to Britain, Philip Lader, and Hong Kong Mercantile Exchange chairman Barry Cheung. Cheung said on Wednesday that the chairman should be "someone strong" with independence, especially as the current chief executive is the largest shareholder. This, he said, would improve RUSAL's corporate governance. "The company is not in deep crisis. Its operations are normal, but it faces challenges because of falling aluminium prices," Cheung said in Hong Kong. "However, the debt level is much lower than when it was listed." Cheung declined to say whether he wanted to be chairman. A spokeswoman for VEB said Tikhonov had not received any official proposal to chair the RUSAL board. Russia's Kommersant daily reported earlier this week that Max Goldman, an executive of Vekselberg's Renova Group investment arm and a lawyer who used to work for RUSAL, would take Vekselberg's board seat. RUSAL's shares fell 3% in Hong Kong to HK$5.68 on Thursday, after falling 4% on Wednesday, a long way short of its HK$10.80 IPO price. Swiss-based Glencore International (LSE: GLEN) posted income before significant items of US$4.06bn in 2011, an increase of 7% on higher revenues, metal prices and output, according to the company's preliminary results. Revenues soared 28% to US$186bn from US$145bn, cash generated by operating activities before working capital changes decreased 3% to US$4.10bn from US$4.23bn and adjusted Ebitda jumped 4% to US$6.46bn compared with US$6.20bn, Glencore said. Income attributable to equity holders more than tripled to US$4.05bn from US$1.29bn in 2010. Total revenues from the metals and mining segment rose to US$52bn from US$45.2bn due to higher average realized zinc, copper, lead, gold, alumina, aluminum, nickel and iron ore prices. One of the world's largest traders of commodities and raw materials, Glencore owns 34.5% of compatriot resource group Xstrata (LSE: XTA) with which it has agreed a "merger of equals." The operation is pending approval from the companies' shareholders. In Latin America, Glencore has assets in Argentina, Bolivia, Colombia and Peru. The miner expects the markets for coking coal and copper to be tight thus year but remains bearish on aluminium, with smelters facing a margin squeeze as costs rise and aluminium prices remain weak. MELBOURNE (Reuters) - Rio Tinto, the world's third-largest miner, said it sees coking coal and copper markets remaining tight, while margins were being squeezed in aluminium. "Demand for commodities in 2012 will be supported by a through-the-year improvement in global growth, although we cannot rule out periods of volatility similar to those in 2011," Rio Tinto's chief economist, Vivek Tulpule, said in slides prepared for a presentation in Sydney. He maintained Rio Tinto's outlook that economic growth in China would remain above 8 percent in 2012. As a result, the market for coal used in steel making "remains tightly balanced", the slides said, with countries outside China helping to pump up demand in 2012 and 2013. The "copper market remains tight despite supply growth", the slide presentation said, with the company anticipating rising costs and supply disruptions to continue, following strikes last year. Rio Tinto, which is looking to sell most of its Australia and New Zealand aluminium business, remains bearish on the aluminium market, with smelters facing a margin squeeze as costs rise and aluminium prices remain weak. "But the global bauxite market is growing rapidly" with Chinese imports of bauxite from Indonesia taking off. Rio Tinto earlier this week reiterated it expects the global iron ore market to remain in deficit even after massive expansions by top iron ore miner Vale, Rio Tinto and BHP Billiton, as smaller miners' projects were running into delays.